Once the red-headed stepchild of the Nintendo family, indie games have now established themselves as one of the main reasons to pick up a Switch. 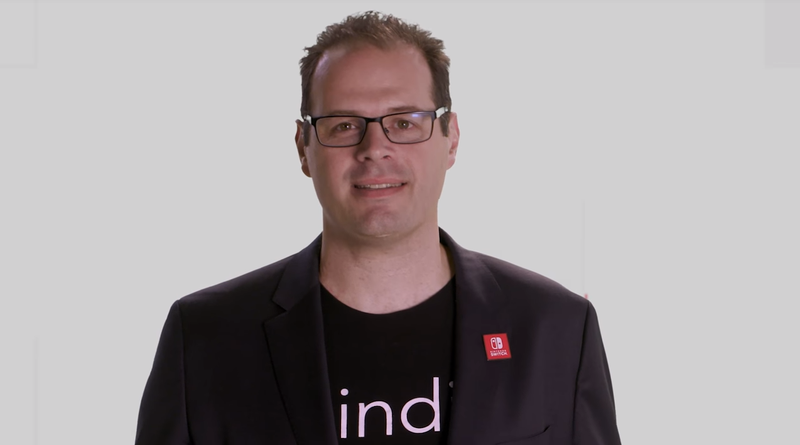 At the forefront of Nintendo’s efforts to shore up indie support on its platforms is Damon Baker, Nintendo’s senior manager of publisher and developer relations. Next to Nintendo of America president Reggie Fils-Aime, Baker has become one of the most recognized faces of the company’s U.S. branch, since he’s often seen hosting indie-focused events like Nindies @ Night or this week’s Nindies livestream. I tracked down Baker at Nintendo’s Game Developers Conference event on Tuesday to talk about the current state of indies on Switch. Baker: I think it comes with the territory of being a Nintendo fan. A lot of our fans on the platform, they grew up playing Nintendo consoles as well. They grew up playing these platformers, and these recognizable characters from Nintendo lore. I think there’s a sense of nostalgia, and what I also mentioned this morning was that we also have this newer audience on board, which is this core and active gamer demographic. And I hate using marketing speak and everything, but the fact is, we’ve always been known as being kids- and family-friendly, and we’ve had these two peaks, but now we’ve been able to fill that gap. On the indie side, it’s even more pronounced. The fact that we’re able to release M-rated content, horror games, and the wide gamut of content that’s actually doing quite well. I think the nostalgia is also, you know, people want to play some of their favorite games in new ways. And there’s a lot of people who are double-dipping on content that they own on another platform, especially the PC crowd. The fact that they can then play that game in a portable fashion is really resonating with fans as well. Baker: No. It was region-specific. And even some other platforms right now are still region-specific. So I think we’ve made a lot of strides there to improve that process. Same in terms of technical support and having this Nintendo developer portal that’s opened, a centralized location where people can ask questions and reach the support teams, but also share knowledge through forums and easily order dev kits. We made the dev kits more affordable, we made middleware support more readily available, so we try to implement all these things to make the process as easy as possible for our partners once they get through that original pitch. It’s not like we’re resting on our laurels either. There’s lots more improvements to be made there, but so far so good. In the eShop, on top of the news channel improvements there, being able to add areas like Games On Sale and Best-Sellers List, these other ways of categorizing titles that our partners can take advantage of. But there will be continued improvements on that as well, to make sure that we can ensure that our consumers and our fans can actually find the content that is relevant to them.